Heads up Bird Box fans!Netflix Bird Box character of Sandra Bullock isn't over. A sequel to Bird Box has just been confirmed and it's set to be released later in 2019. The return of Malorie's story. The world went crazy for the Netflix Bird Box original when it came out on 13th December and turned into a worldwide phenomenon.Josh Malerman, the author of Bird Box has confirmed Esquire that he has written a sequel - Malorie. The novel, titled Malorie that took place eight years after the original story will be released on October 1. The second book will focus on Sandra Bullock's character as well as the mysterious creatures that cause extreme fear to audience. People were greatly concerned about what well happen to the boy and girl named Tom and Olympia? Malerman said that it's all about Malorie's story, the second novel will continue to follow the life of the mother and her continuing struggle to survive. "In the time between Bird Box coming out and the time since I’ve been writing Malorie, I’ve been asked a ton of times: people want to know what happened with Boy and Girl. But as much as I care about Boy and Girl, this isn’t their story. The Bird Box world is Malorie’s story, and I wanted to know more about her. I wanted to get to know her even better," he told. 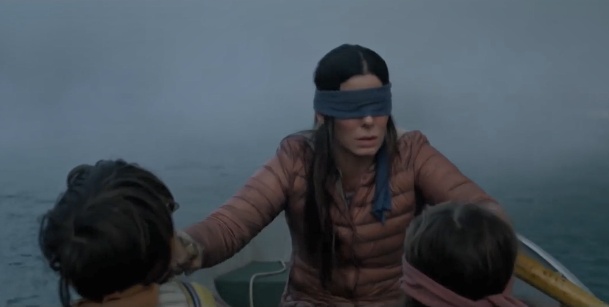 Now Bird Box 2 is making a buzz online and fans are hoping to more interesting stories to happen.